Trotter Racing is pround of our personal approach to our owners and of our work with the horses. Our genuine love of horses and enjoyment of the challenges of racing is what makes us unique. The secret to good training, as far as Trotter Racing is concerned, is to achieve the best possible results from each horse in the stable according to the individual horse's ability, while at the same time ensuring the owner gets value for money and hopefully, lots of fun, enjoyment and success along the way. Our key to success is maintaining the integrity of our services to our clients. We are a traditional stable, built on our reputation for old fashioned values, honesty and integrity. Our owners are our community and we have made many loyal friends over the years. 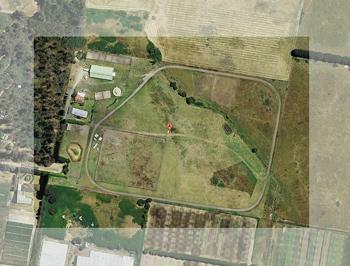 Owners are welcome at track work and are invited to attend our annual stable events. Michael and Pat are skilled and experienced horsemen who have a good eye for pedigree and can assist with horse selection and purchase.They both have the innate ability to assess the horse's fitness and ensure correct placement. Michael and Pat not only offer their training services but also pre-training and breaking in. To find out more about our services and racing a horse with Trotter Racing, please feel free to contact us.